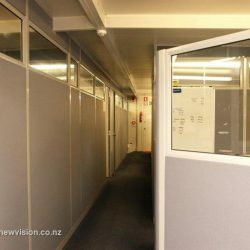 Whether you require an ordinary gib board wall, a full height glass wall, a part gib board and part glass wall, or a fabric covered demountable wall with glass sections, our professional team can offer you a wide range of choices to suit your needs. Does it need to be sound resistant? 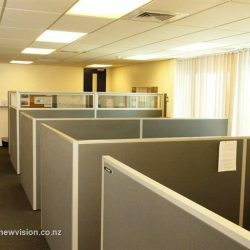 Does the wall require fire rating? Electrical/ Phone and Data services: is an allowance made for these? Does my ceiling need upgrading? We will happily advise you on what you may need to take into consideration. 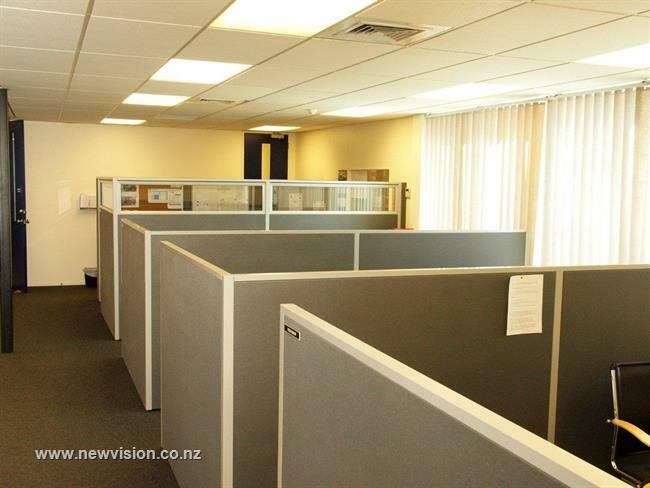 The normal method of dividing office space is to use plasterboard cladding over steel studs. 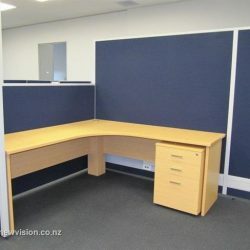 Full or half height glass is used at the front of the office. 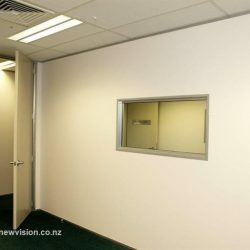 This allows privacy, light and vision for all. Before the floor track is installed we use tape to provide an accurate layout on the carpet-based on your agreed layout. 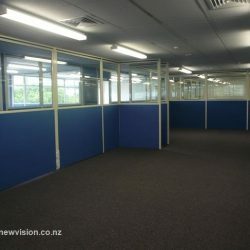 At the same time lighting is installed in the ceiling grid and the air conditioning ceiling ducting is checked. The electrical and data cabling is installed at the time the plasterboard is fitted. After the plasterboard is fixed, the joints are flushed to ensure a smooth first class surface for painting and finally, skirting boards are installed. 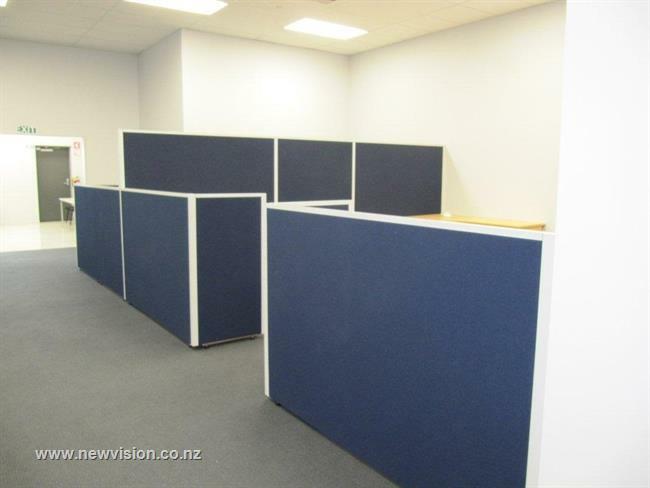 These walls are the best option if you require something more permanent. 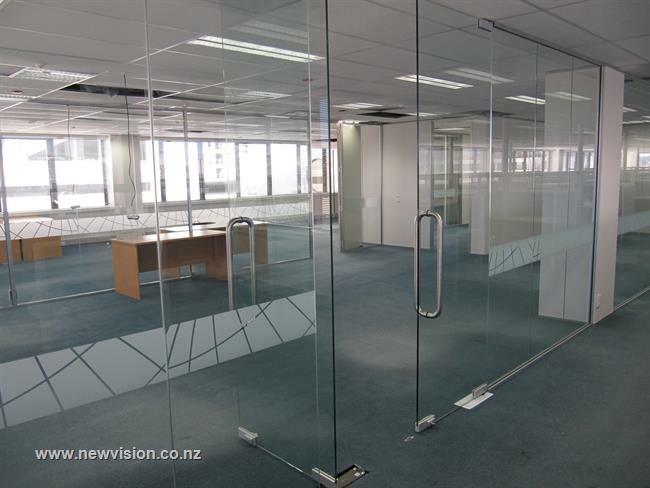 Glass partitioning in offices is an attractive and cost effective alternative to solid walls. 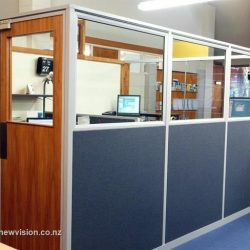 The Thinner profile creates more work space and encourages a greater interactive working environment. 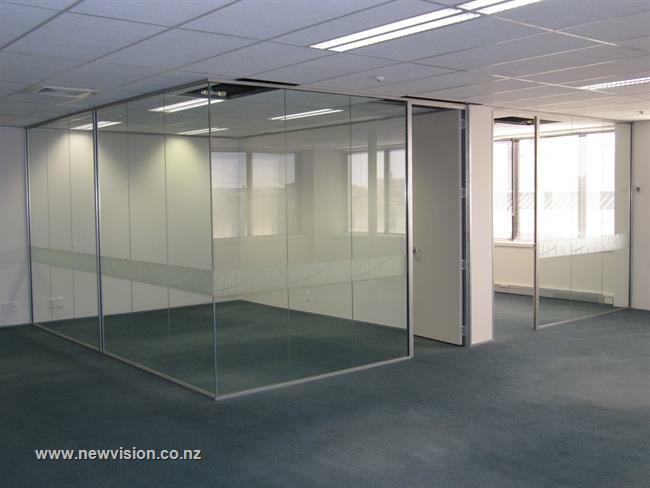 Glass partitioning may be floor to ceiling, or any height in between. 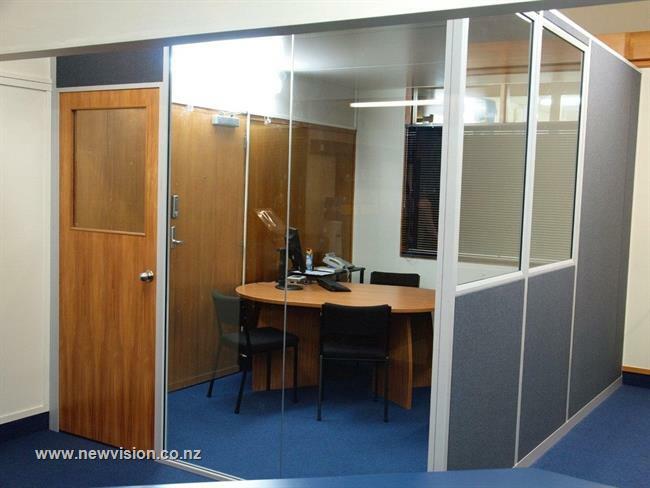 Glass can be used to partition sleek, yet simple and light filled work spaces and/or uncomplicated meeting or board rooms. 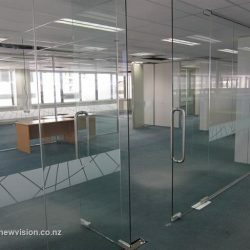 Different kinds of glass may be used to ensure that your office areas are sound proof and private. 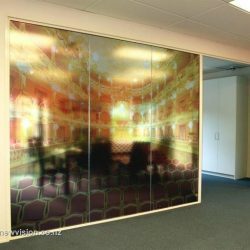 We are able to print your logo and/or company name onto glass or frosting to create a truly unique working environment. 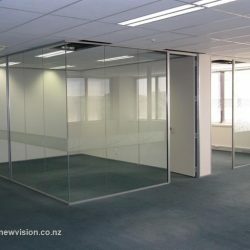 Tempered glass – increases the strength of glass by up to five times its original strength and breaks into small, safe pebble-like pieces devoid of sharp edges. 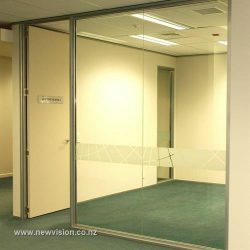 Security and safety laminated glass – is shatterproof and can be fitted in a double glazing unit, providing valuable heat insulation, safety and security. 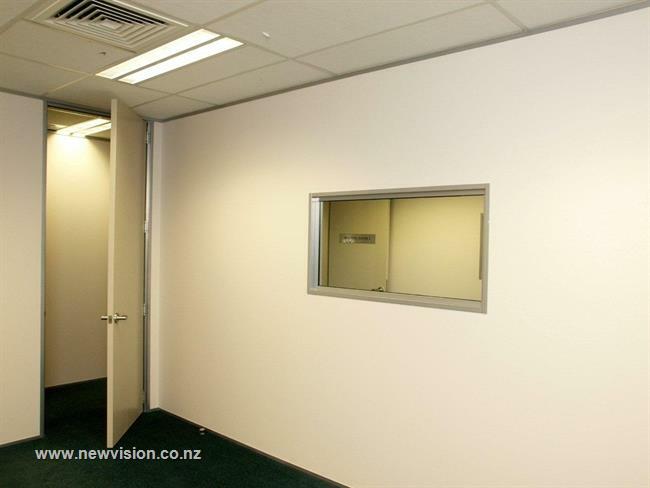 Acoustic glass – to reduce noise when traffic noise pollution has become problematic. The patented New Vision clip system has been the most popular with our clients over the years. 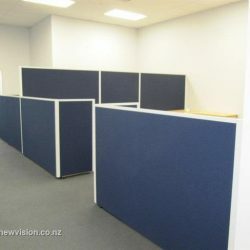 It has far exceeded our rivals in providing an easy fit together and take apart screening option. So easy to transfer to another location if necessary. 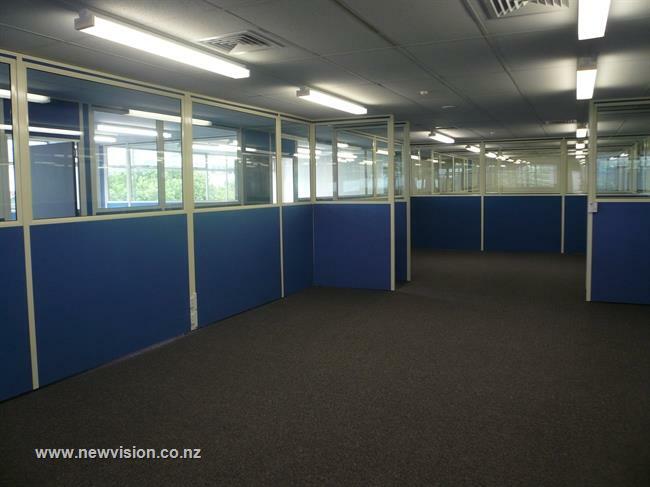 A wide range of window/ panel options in various colours and fabric types is available, as it is in our standard low height partitioning. 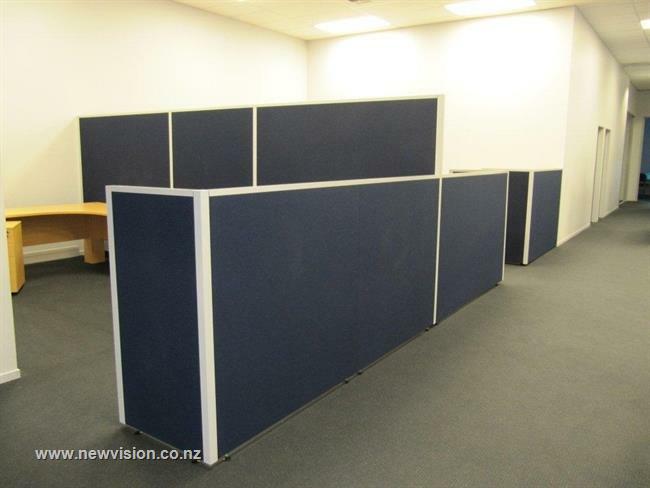 We manufacture to your height and width specifications. 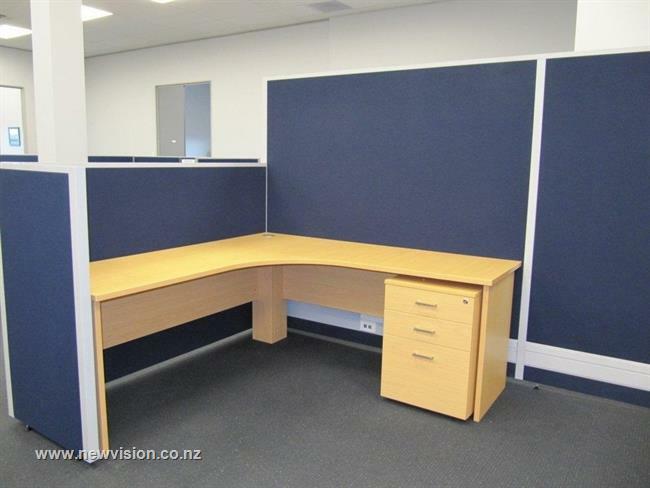 A wide range of fabric coverings enables easy colour co-ordination to your office setting. Choose from durable synthetic fabrics for practicality or quality wools or velour’s for an executive image. 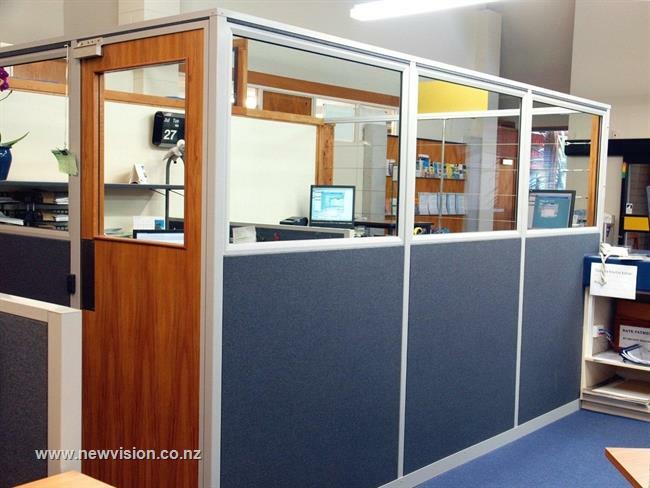 Full or split glazed partitions are a popular complement to covered screens. 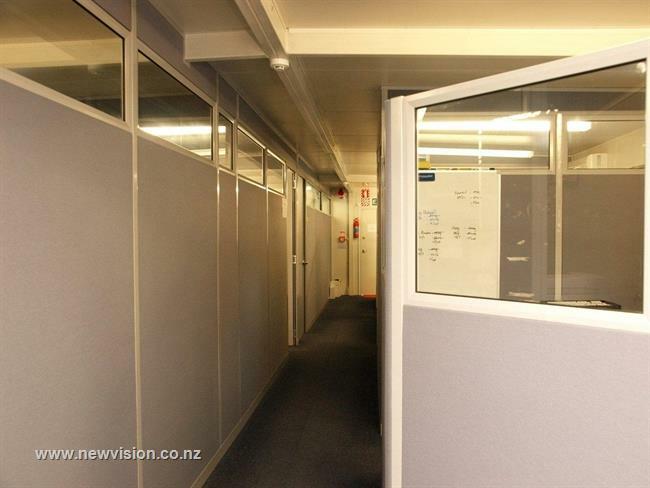 A strategically placed glass panel can create a team environment whilst retaining employee privacy. Our system caters effortlessly for the age of technology. It offers 2 track aluminum cable ducting at desk or floor level for power, telephone or data cables with outlets positioned where needed. 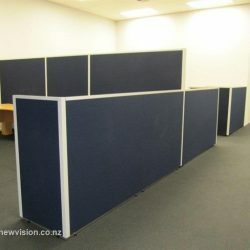 Where a short term lease or flexibility of layout is a major concern, demountable particle board can be installed to allow quick and easy changes or relocation. 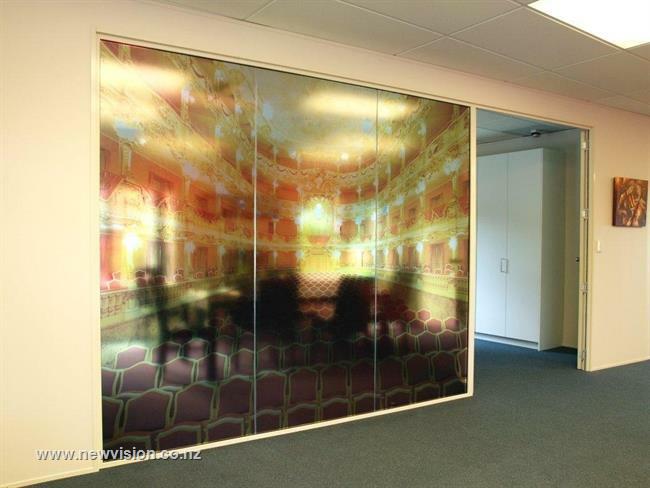 These panels are 35mm thick and 1200mm wide and joined by special aluminum trim.